In her free time, Pam enjoys spending time at the beach, reading, crafts, learning, motorcycling, camping, traveling, gardening and spending time with her family. 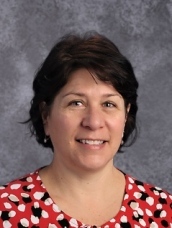 Pam joined RSU 23 Old Orchard Beach School community as the Technology Director in July 2018. Pam brings with her years of experience in K-12 technology. Past roles include both a Technology Director and a Network Administrator in three other school districts in Massachusetts. Being able to take part in bringing technology to school children and watching them engage themselves is something Pam finds truly rewarding. Seeing the look of wonder and exploring on children’s faces is fun to watch. She wonders herself where the future of technology will lead. Pam studied Computer Science at Mount Wachusett Community College. And then became a CTO Certified Chief Technology Officer.